The pictures were taken in southern Iceland. 2. 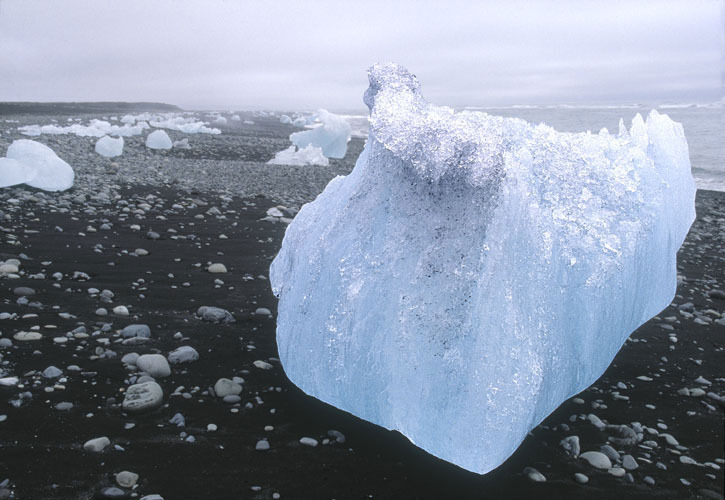 Vatnajøkull Glacier, the biggest glacier in Iceland, calving large blocks of ice into the lagoon, where they float. 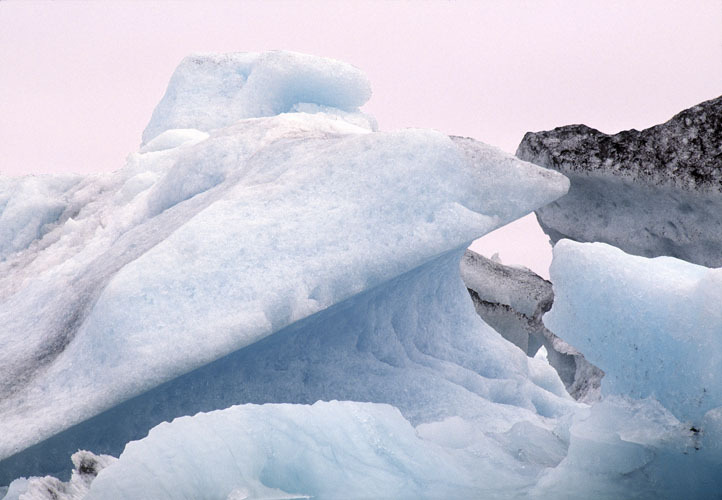 The glacier, the ice and the sea produce a light that makes the sky above plum-coloured. 3. Huge blocks of ice from the glacier drifting into the Jøkulsá River and into the sea. The tide casts them onto the black beach.